Dr Margaret Mountford (Chair, Egypt Exploration Society), "Papyrology: is anything new under the sun?" 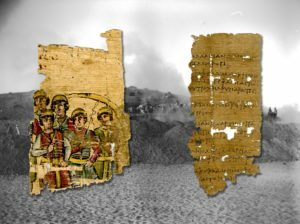 Dr Margaret Mountford will present a brief introduction to the famous Oxyrhynchus papyri, their contents, and their initial excavation. The lecture will take a closer look at a number of ancient texts that suggest people’s preoccupations have not changed much over the centuries.